I’m not one to really celebrate my own birthday – don’t get me wrong, I love celebrating birthdays just someone else’s. So its a good thing I have friends that share the same birth month. 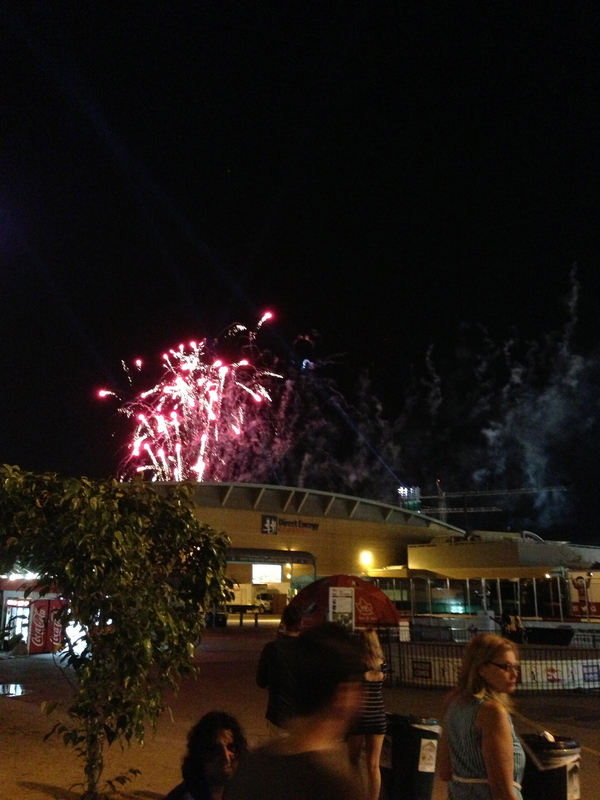 And having a birthday within the last 2 weeks of August means that I inevitably end up at the CNE (Canadian National Exhibition). 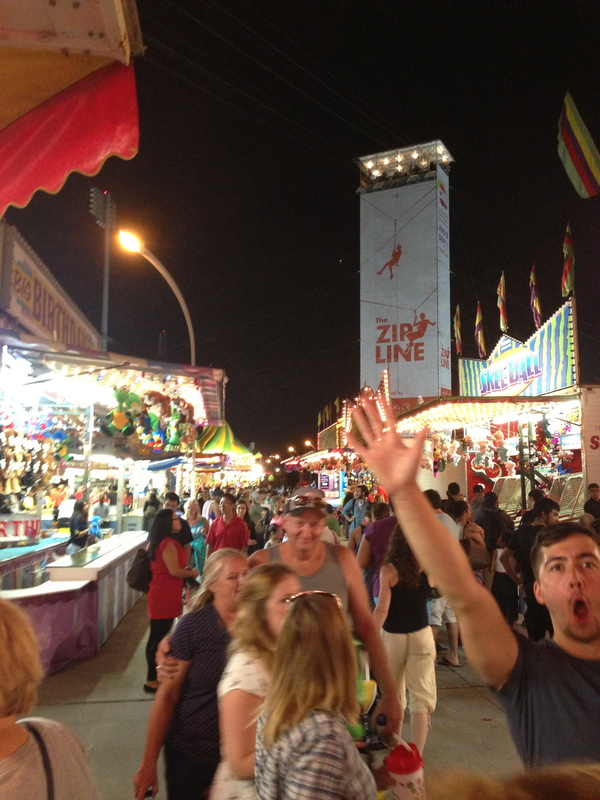 I’m not into the carnival rides nor the games but I go for the food! And every year, the Ex comes up with some wacky food they decide to serve up. This year its the Thanksgiving waffle, Crowbar and Chocolate fried chicken along with all the other classic carnival food! I, unfortunately couldn’t eat everything so I had to abandon the chocolate fried chicken. However, when we arrived I made a beeline to Fran’s who was serving up the Thanksgiving waffle! After Christmas, Thanksgiving day is my 2nd favourite holiday and frankly, its because we get to have TURKEY! 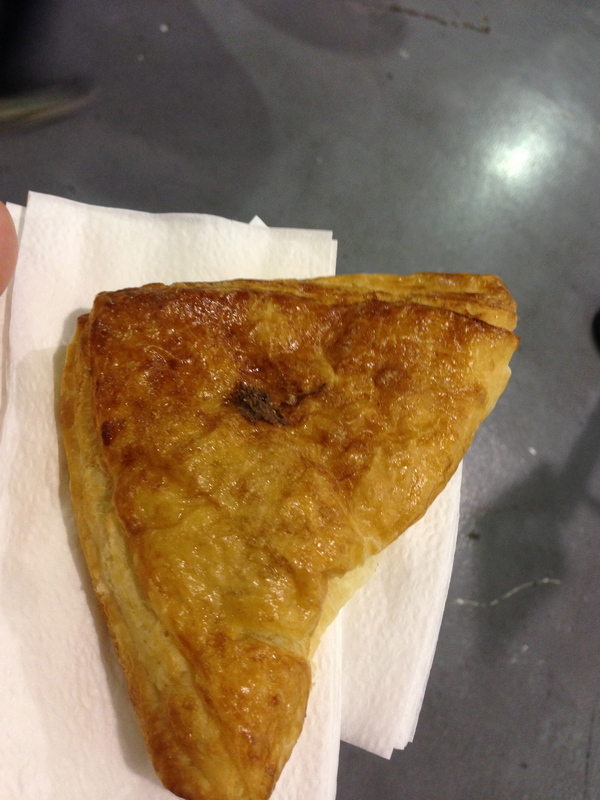 The waffle itself was made from stuffing and used as the bread portion of the sandwich. 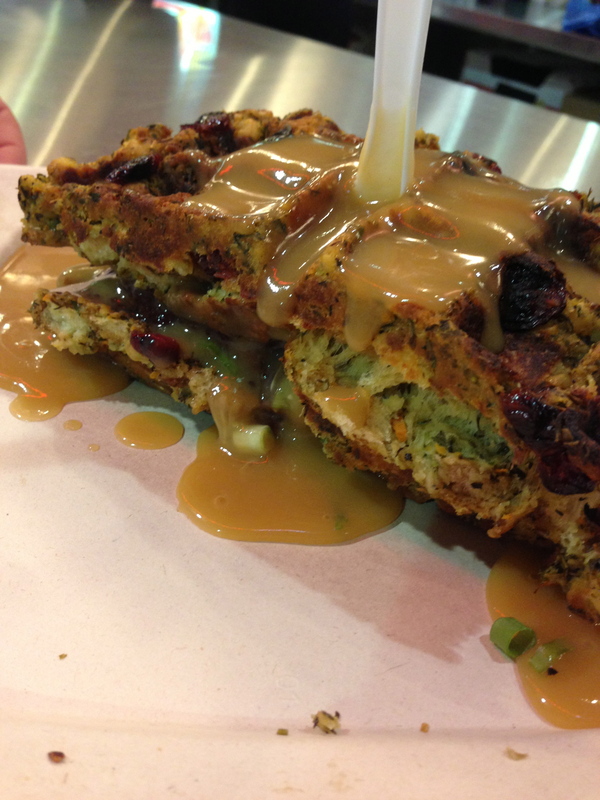 In between the waffle was a shredded turkey and cranberry sauce with gravy pored over the top. 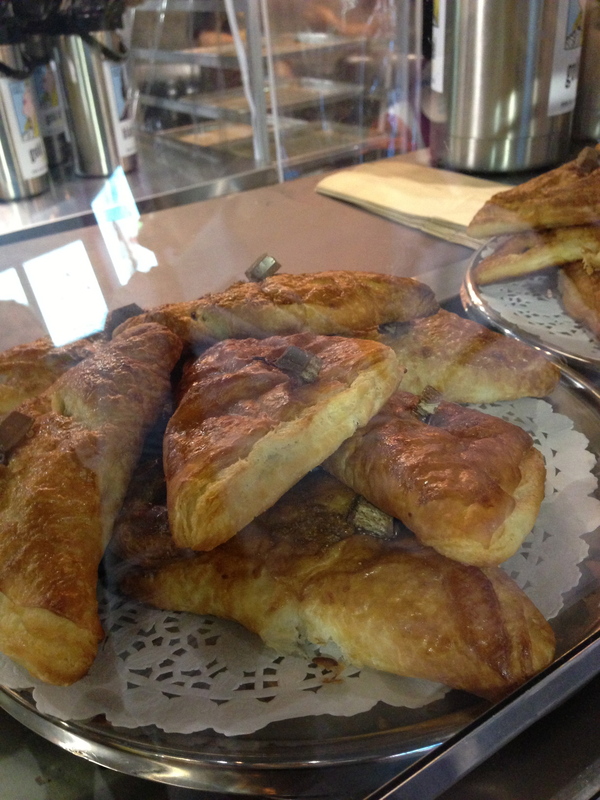 It tasted just like the holidays – ingenious and delicious! 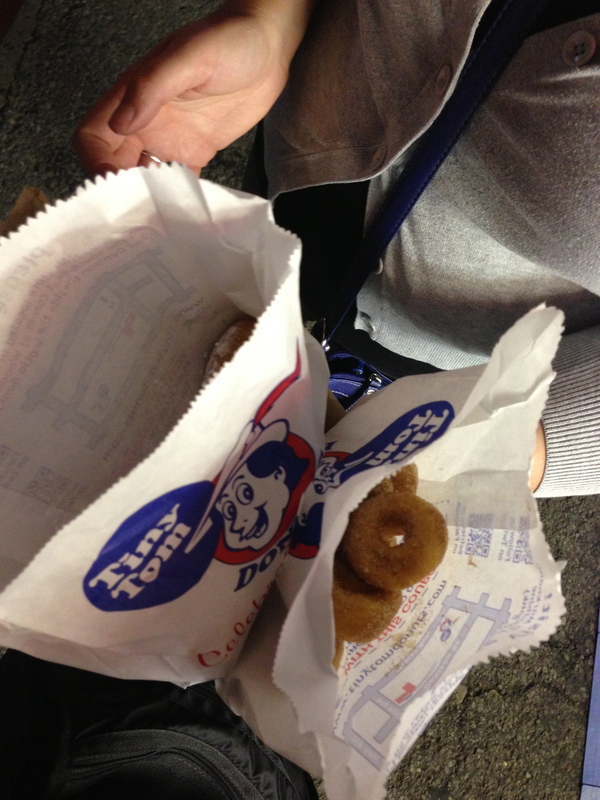 Check out the rest of great eats I discovered! 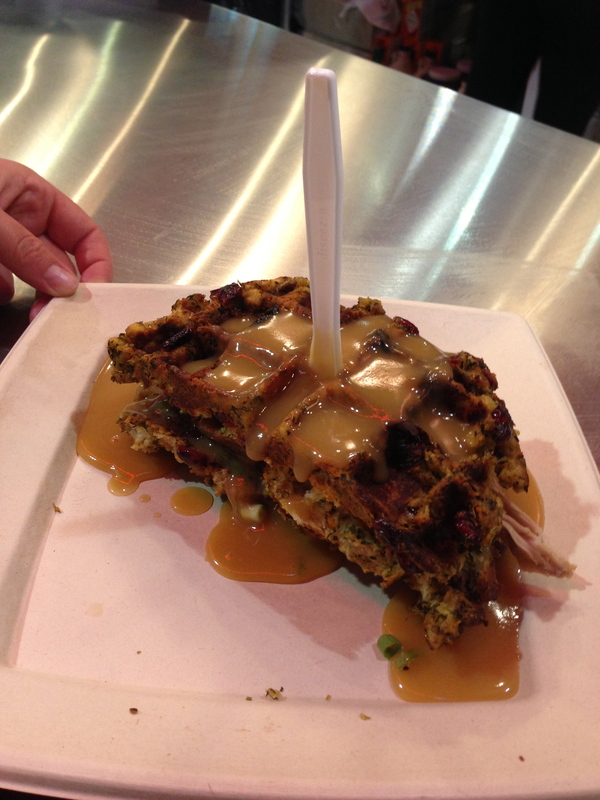 Fran’s booth in the Food Building at the CNE serving up the Thanksgiving waffle! Close up of the waffle and yes, that’s broccoli you see seared right into the waffle. The Crowbar was being served up by Hula Girl Espresso Boutique and came in a variety of chocolate bars: Mars bar, Kit Kat, Caramilk and Reese peanut butter cup. Can you guess which one I got? You can see the Kit Kat baked right in there. 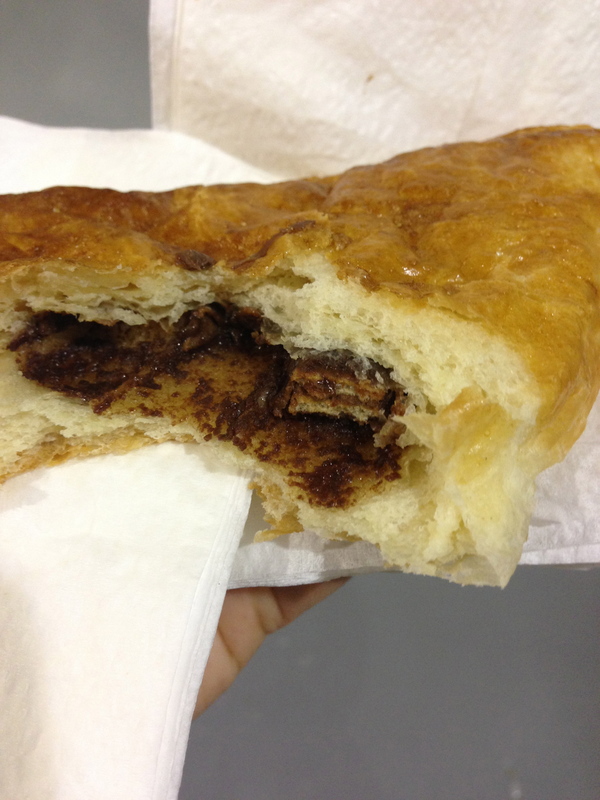 Reminds me of a pain au chocolat! Watching the tiny donuts go down the conveyor belt. 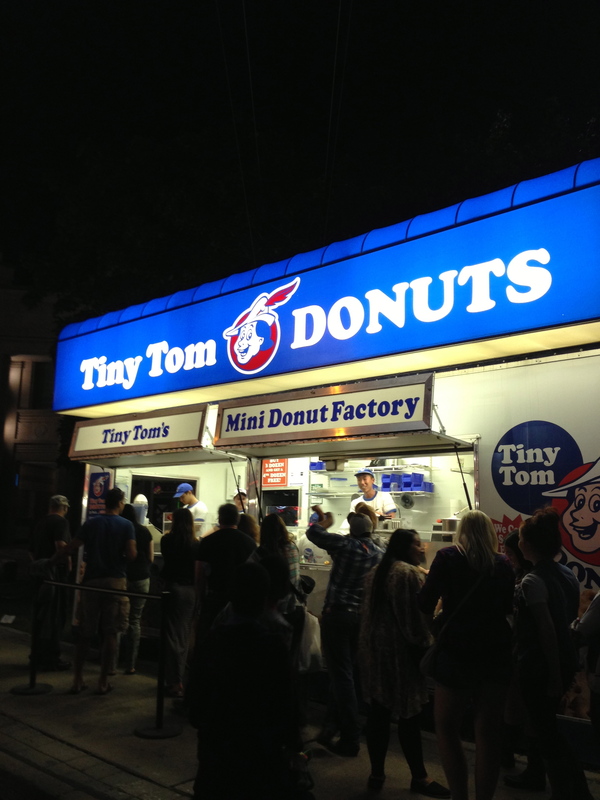 Tiny Tom donuts – two of my favourite flavours: classic powder sugar and cinnamon. 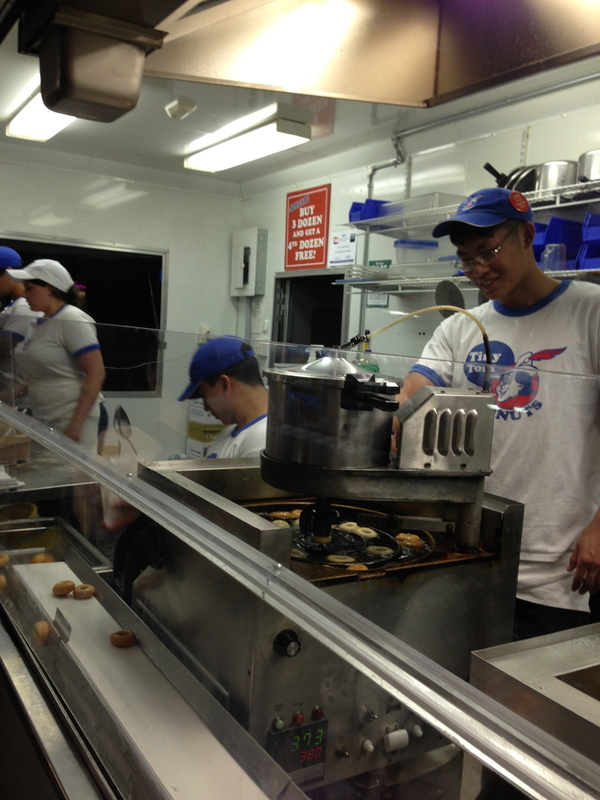 A must-eat at the CNE.